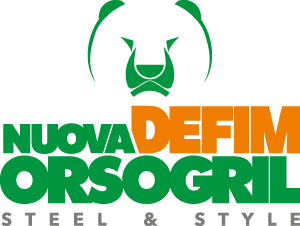 Nuova Defim Orsogril: Steel and Style for professionals. who make of aesthetics combined with functionality an essential point of their architectures. A relevant solution for a large commercial project considering the geometries as its main point. This electro-fused grating looks alike hand crafted and recall an architectural framework based on lines, shapes and materials of absolute modernity. Tradition and aesthetic care. These are the two common aspects joining a park located in a city with a great past called Padua and ACUMINA® fence. Aesthetics, speed, flexibility. Designers requested these three elements to fence off a school build up after the earthquake in Emilia Romagna region. For this new, important industrial context an anti-climb and cut resistant fence was targeted, having also clean and flexible features to ensure sufficient transparency not to interfere with the remote monitoring system. A wine cellar surrounded by greenery where the past blends to modernity. A hotel complex near to Como Lake, where access to the terraces had to be completely permeable to air and water, but able at the same time to visually convey a modernity feeling and safeguard the guests visual comfort. A sports arena where Italian professional football wrote important pages of his history build in a masterpiece art city like Verona, demanded not only a fence in line with the latest European Sport Regulations (UNI EN 13200), but also in harmony with the surrounding architectural landscape. POTISSIMUM® grating typical characteristics are the efficiency and the versatility in meeting all projects properties harmoniously. POTISSIMUM® grating made available to designers robustness and versatility characteristics and enabled them realizing a complex and sophisticated industrial site. The project harmonious union of curved lines gives an identity to the original visual design differing from linearity. Geometric identity between the building and the fence based on the rectangular element pattern, which clearly identifies the entire contemporary and linear architectural design, in every perspective. A relevant solution for a large commercial project. Contrast of excellence between artisanship and modernity. Made in Italy traditional craftsmanship proposed in new standards. Defense and highest security levels for this anti-climbing system. The past joins the future: wrought iron aesthetics and industrial perfection.